WE ARE UNLIKE ANY OTHER, YOU COULD SAY UNMATCHED, OR PERHAPS MATCHLESS. COMING FROM DIVERSE BACKGROUNDS WE OFFER PROGRESSIVE AND CREATIVE THINKING THAT IS UNPARALLELED WITHIN OUR INDUSTRY. OUR WORK AND LIVES BLEND SEAMLESSLY AS WE PRACTICE EVERYTHING WE PREACH. WHETHER IT'S BUILDING FABRICATION SHOPS, RESTORING CLASSIC CARS OR REMODELING HOMES OUR BREADTH OF KNOWLEDGE IS EXPANSIVE AND EVER EVOLVING. ALL THESE EXPERIENCES COMPOUND TO PROVIDE A WELL ROUNDED AND CUSTOM OFFERING FOR OUR CLIENTS. WITH MANY YEARS IN THE CUSTOM BUILD INDUSTRY WE KNOW WHAT IT TAKES TO STAND OUT AND GET THE JOB DONE RIGHT. 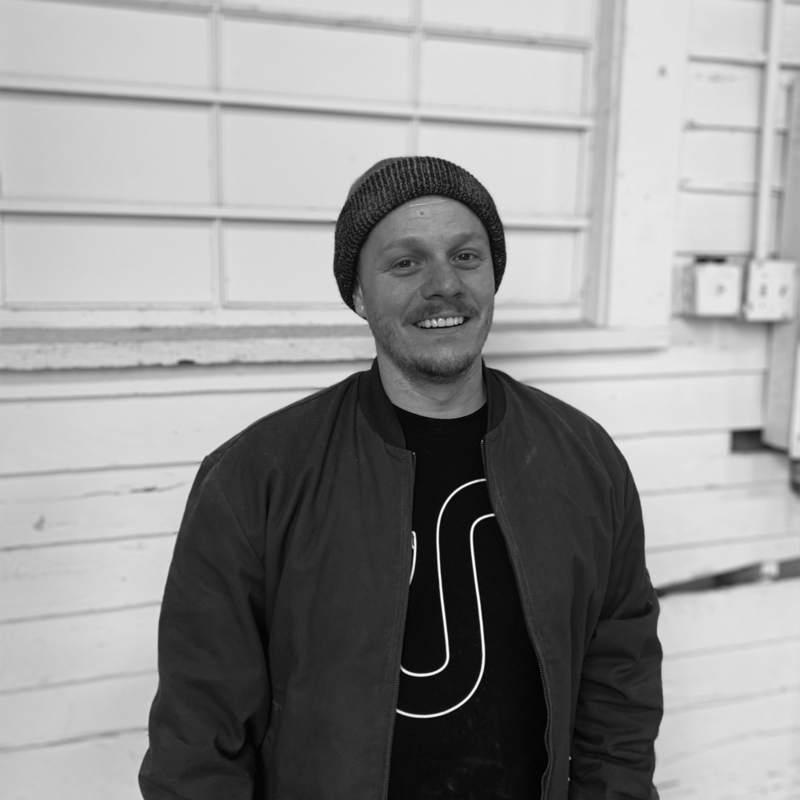 RYAN IS AN EXPERIENCED MULTI-FACETED BUILDER CAPABLE OF WORKING ACROSS A PLETHORA OF STANDARD AND CREATIVE MATERIALS. WITH A BACKGROUND IN FINE ART AND SCULPTURE RYAN'S INTERESTS ARE FAR REACHING AND CONTINUOUSLY DEVELOPING. ORGANIZED AND EFFICIENT, WHEN THE JOB IS DEMANDING RYAN EXCELS AT STICKING TO THE PLAN AND EXECUTING ON TIME. 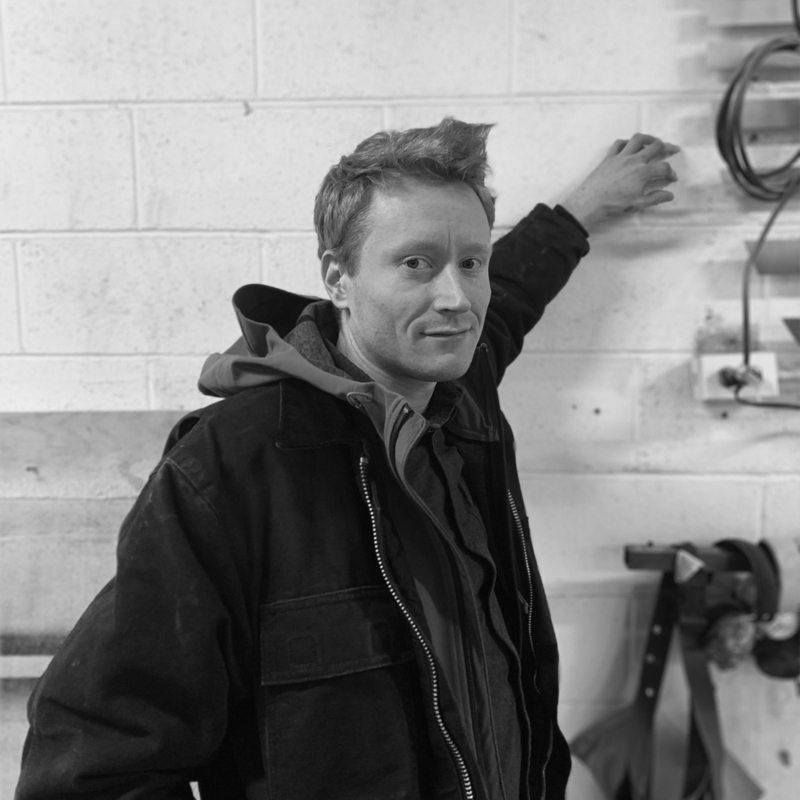 RYAN IS AN ACCOMPLISHED WELDER AND WOODWORKER WITH ACE SKILLS IN ELECTRONICS AND LIGHTING. THERE HAS NEVER BEEN A JOB TOO UNUSUAL FOR NICK TO TACKLE. A TRUE VISIONARY WHEN USING RECYCLED AND REUSED MATERIALS, NICK IS A MASTER OF MAKING SOMETHING SPECTACULAR OUT OF NOTHING. NICK'S APPROACH TO CREATING IS NEVER STIFLED BY SETBACKS AS HE IS ALWAYS LOOKING TO ENGINEER NEW AND BETTER SOLUTIONS TO CHALLENGES. WITH A BACKLOG OF INTERESTING PROJECTS UNDER HIS BELT, NICK CONTINUES TO BRING THE SPICE TO EVERYTHING HE UNDERTAKES. WHAT HAPPENS WHEN YOU TAKE THE COOK OUT OF THE KITCHEN? YOU END UP WITH A SUPER CAPABLE, HIGHLY DETAILED, HYPER FOCUSED DO-IT-ALL MACHINE THAT IS NOT AFRAID OF THE DIRTY WORK. WHILE DAN’S BACKGROUND IS IN THE RESTAURANT INDUSTRY HE HAS BECOME ONE OF THE BEST FINE-FINISHERS AROUND. AN EXPERT IN PAINTS AND COATINGS, DAN PUTS IN THE TIME TO CONSTANTLY HONE HIS CRAFTS. THROUGH CONTINUED RESEARCH DAN IS ALWAYS AT THE FOREFRONT OF EXPLORATION INTO NEW PRODUCTS AND APPROACHES. WHILE SCOTT DOES NOT HAVE A BUILDING BACKGROUND HE DOES NOT HESITATE WHEN IT COMES TO MAKING PROJECTS COME TO LIFE. A COMPUTER AND PROGRAMING WIZ, SCOTT TAKES CARE OF ALL THINGS DIGITAL. A CRACKERJACK WITH A SOLDERING IRON SCOTT BLAZES THROUGH WIRING AND TECHNICAL CHALLENGES ALL WHILE RUNNING OFFICE OPERATIONS WITH EQUANIMITY. A TRUE MASTER OF ORGANIZATION AND CLEANLINESS EVERYONE COULD BENEFIT FROM A LITTLE MORE SCOTT IN THEIR LIFE. KYLE'S TALENTS ARE NOT LIMITED TO JUST HIS HANDS AS HE IS A MASTER OF LOGISTICS, ORGANIZATION AND CLIENT SERVICES. KYLE IS A NATURAL AT ON-THE-SPOT PROBLEM SOLVING AND ALWAYS HAS CREATIVE SOLUTIONS FOR THE MOST DIFFICULT JOBS. A WALKING WIKIPEDIA, KYLE HAS INFORMATION ABOUT EVERYTHING AND DOES'NT SETTLE FOR NOT KNOWING ANSWERS. KYLE IS AN EXPERIENCED BUILDER WITH A FOCUS ON WOOD CONSTRUCTION AND METAL WORKING. A TRUE INSTALL WARRIOR, LINDSAY STAYS UP LATER AND WORKS HARDER AS THE CLOCK TICKS DOWN THE HOURS. LINDSAY KNOWS THE EXTRA EFFORT IT TAKES TO PULL OFF THE SEEMINGLY IMPOSSIBLE AND HAS YET TO LET A BALL DROP. AMIDST AN ARRAY OF SKILLS HER WELDING AND TIRELESS DEDICATION TO METALWORKING IS SECOND TO NONE. LINDSAY’S UNWAVERING QUEST FOR CONTINUOUS IMPROVEMENT ELEVATES EVERYONE AROUND HER WHILE HER ENDLESS ENTHUSIASM LEADS THE TEAM WHEN IT’S CRUNCH TIME. IT WOULD BE IMPOSSIBLE TO SUM UP BEN’S ABILITIES IN A COUPLE PAGE DOCUMENT AS IT IS NEARLY ENDLESS. FROM BOATBUILDING TO WATCH MACHINING THERE MARKEDLY IS NOT SOMETHING HE HAS NOT BUILT. 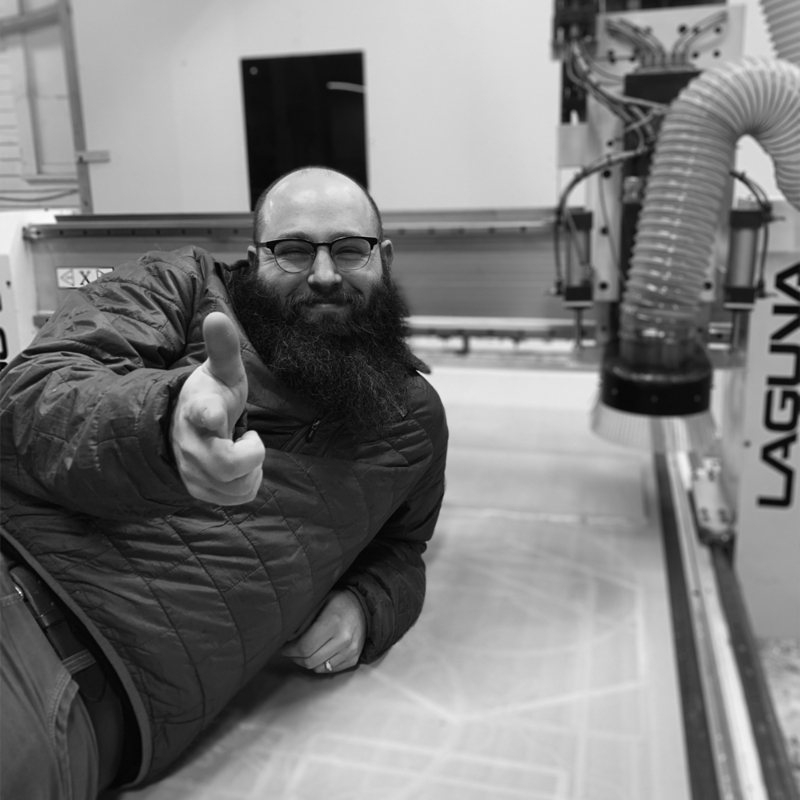 AS OUR RESIDENT FURNITURE EXPERT, CNC OPERATOR AND ENGINEER BEN CARRIES A HEAVY LOAD BUT DOES SO WITH EASE. BEN RARELY RESTS AS WORK IS ALWAYS PLEASURE. AND WITH A KNACK FOR ACQUIRING KNOWLEDGE BEN KEEPS PUSHING AHEAD OF THE CURVE.